Our mission is to provide one source to meet all your business technology needs. Our innovative approach analyzes your system, discusses your objectives, and then implements your vision. We achieve these objectives by combining our knowledge with industry expertise. We work closely with you to develop and implement solutions that assist you in realizing these goals. We view our relationship with you as a lasting partnership. The commitment to servicing your needs is what distinguishes us from the competition. Technology Professionals will be there when you need us. Our team is trained, certified, and experienced to manage the complexity of any system. Our broad knowledge and diversity allows us to integrate your existing systems with new and emerging ones. We provide you the insight and guidance in making the right choices with your technology investments. We listen to your needs and provide you custom solutions to meet those requirements. 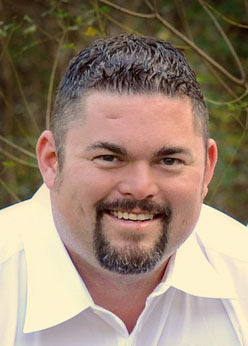 Jason W. Bergeron is a native of Houma, Louisiana and a graduate of South Terrebonne High School. He attended and played football for Macalester College in St. Paul, MN. He has over 20 years’ experience in the information technology industry. Training and experience include network and server engineering, support, and management. He is versed in project management and work flow processing. His technical expertise ranges in anything that relates to voice and data including certifications and/or competencies with the following vendors: Microsoft, Cisco, Dell, HP, SonicWALL, Citrix, VMware, Veeam, Appassure, Veritas, Datto, Barracuda, and Security and Telecommunications and products. He is an ISO-9000 auditor. Prior to moving into the information technology industry, he worked his way through operations for many companies rounding out his experience to implement technology into any department in a company. In 2015, he was awarded the Houma-Terrebonne Chamber of Commerce Star Award. This award is awarded to a person who exceeds expectations with regard to customer service, leadership, and volunteer community involvement. Jason is also a graduate Goldman Sachs 10000 SMB business development and Leadership Terrebonne programs. He is currently enrolled in Leadership Louisiana. Jason is a past president and board member of the Terreanians Carnival Club, founding member of the Terrebonne Parish Alzheimer Association board, current board member and Vice Chair of the Houma-Terrebonne Chamber of Commerce moving to Chair next year, current board member and Past President of the Bayou Region Crimestoppers organization, board member of the St. Francis Cathedral School Coop Board, and is member and past president of the Rotary Club of Houma Sunrise. He is also creator of BOSS (Business Owners Solutions Symposium), a business owner support group in partnership with TEDA (Terrebonne Economic Development Committee). David K. Landry is a native of Morgan City, Louisiana and graduate of Central Catholic High School. He attended Nicholls State University where he earned his Bachelor of Science degree in Accounting. While earning his degree at Nicholls he met his wife Julie, and moved to Houma where he lives today. David has two children Lauren and Eric, and is deeply devoted to his family. David’s worked in the oil and gas industry since he was 15 years old, and his 37 years’ in this industry has proven invaluable to him and his clients. He’s worked for publicly traded companies such as Oceaneering, RPC, and Conrad Industries before forming Technology Professionals. While there he was instrumental in deploying the latest technology and ERP systems which consisted of J.D. Edwards, Microsoft Dynamics, Oracle, PeopleSoft, and SAP. During his career, he worked directly in or with the finance teams, operations, and other business segments to hone his 29 years of IT experience. 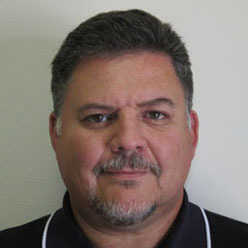 David maintains certifications with Cisco, Citrix, Dell, Novell, Microsoft, Veritas, Unix, VMware, and Veeam. He’s passionate to solve the challenges of designing secure networks that protect his clients from the many threats facing them. He engineers custom networks, security systems, and communication platforms to meet the specific needs that our clients demand. He believes when it comes to technology that if you don’t think outside the box then the only things you’ll ever see are walls. A strong supporter of community David believes it’s a privilege to serve those that have given so much back to him, his family and company. He’s a graduate member of the 2007 class of Leadership Terrebonne. He’s an active member of the Knights of Columbus and Houma Rotary. When not working, you can find David enjoying the outdoors as an avid hunter and fisherman. He’s a loyal and dedicated fan of LSU sports, and loves watching football and baseball whenever he can.